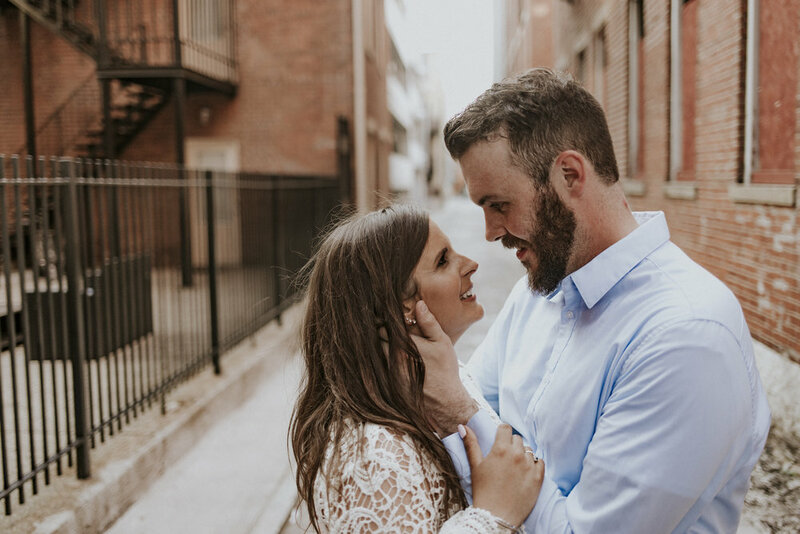 I had a fabulous time this past Wednesday with Shannon and Justin- these two have such great chemistry together and I have been looking forward to working with them since the first five minutes of meeting them! They both are funny, interesting, unique and such genuinely good people! I'm certain anybody who has met them has went 'yep, they're perfect together. thats their person'. We started our session at Rhinegeist Brewery because, well it's rhinegeist (and also there is a pretty swanky dinosaur there). After we got finished with rooftop cuddles and they purchased new Dino shirts, we headed down to my favorite wall in Findlay Market! We spent the evening taking a nice third-wheel-photog date night and just explored all the cute little places OTR has to offer! Every year they go to Holtman's for Justin's birthday, so we stopped in for some yummy doughnuts and air conditioning. After that we headed to Old St. Mary's church and Buzzed bull creamery! 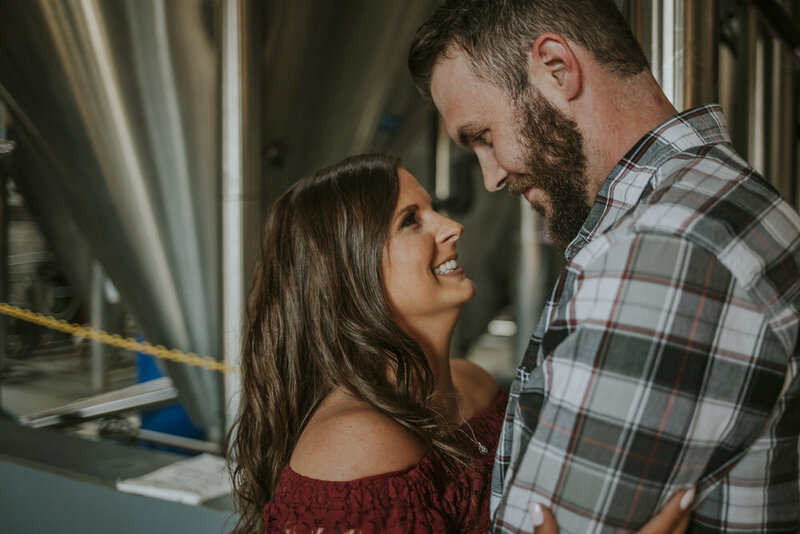 I honestly couldn't be more excited to share these photos, and I surely can't wait for more fun adventures on these two's wedding day in October! locations // Rhinegeist, Holtmans, Findlay Market, Buzzed Bull, Cody Gunningham's Murual and Old St. Mary's.